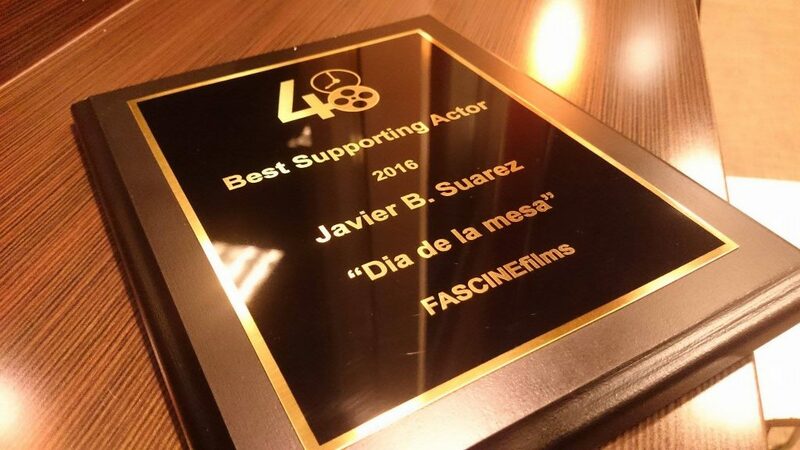 Fascine Films brings back to Bolivia an international award given to Javier B. Suarez‘ performance in the short film “El día de la Mesa”, at the international event Filmapalooza. The trip to Seattle was made possible thanks to the support of various persons and institutions like ServiMASTER, BoA, José Heresi S., José Eduardo Siles B., Eduardo Siles C., Andrea Román, Rosemary Samalot A., Rodrigo López, the Román Family, the Suárez Terán family, Rosa M. and Ana Terán, plus the Fascine Films team’s efforts. “If we hadn’t come we would only have seen the awards ceremony on Internet. We are very happy to be here and to have received the award in person” said Javier to a local newspaper (Los Tiempos), on the phone from Seattle. “We don’t have much support from local institutions but we can do many things thanks to the people’s support. This is an award that we won thanks to the support and efforts of our friends, and that is why we say it is for all the Cochabambinos“, said Suarez. 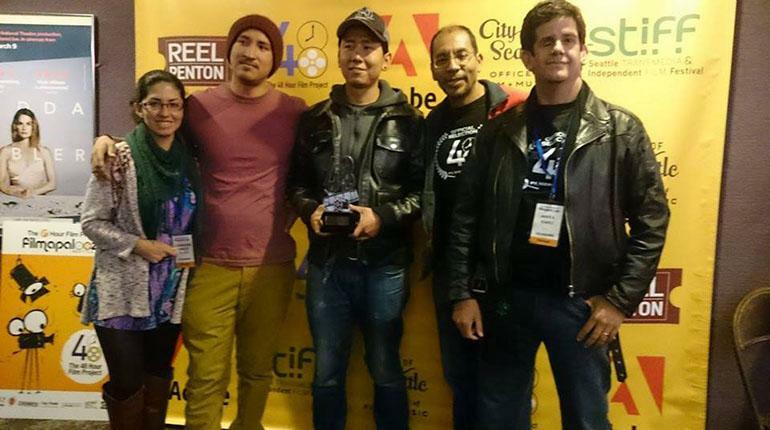 Fascine Films had already been awarded the prize for Best Short Film at 48HFP-Bolivia, in representation of Cochabamba; this is what led them to participate in the international event. Javier B. Suarez, the winner of the Best Supporting Actor Award said that on the day of the awards ceremony they arrived in just the nick of time to the event, since the whole team had been lost in some far away street in that US city; they arrived as they were and didn’t even have time to change clothes!! “I had been more elegant on the previous days than on Award Night” mused Suarez “but it was all worth it“. The moment he was mentioned as winner he was very surprised at the ovation given by the delegations of the other Latin American countries “even the Italians and the Dutch, who had seen the film just the previous day, applauded when my name was mentioned, although they didn’t even know me” added Javier.